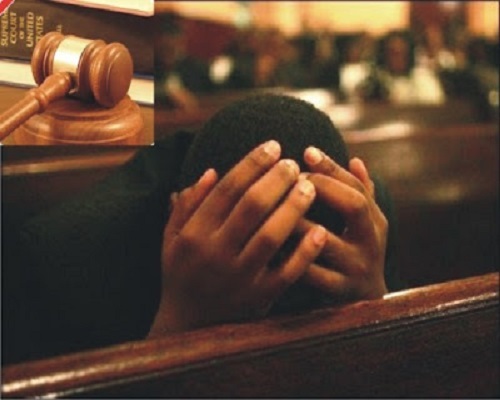 A middle aged man, Amos Ogbo is now cooling off his heels in detention over the alleged killing of his 7 months pregnant wife on Christmas day. The incident occured around Eliozu, Obio-Akpor Local government area of Rivers State. The woman, according to eyewitness accounts, died of internal bleeding after her husband, Ogbo pelted a stone on her ribs when she tried to escape from a fight. suspect has been transferred to the State CID. DAILY POST reports that Amos Ogbo who rides tricycle, popularly called Keke around Eliozu in Port Harcourt, has 3 children with his late wife. He told newsmen at the Police Command that, “I didn’t know that the stone will kill her. When the thing happened, I was trying to carry her but she was too heavy and nobody came to help me. I wanted to take her to the hospital when she fell but as I tried to stand, they will slap me and hit me with things.